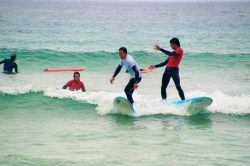 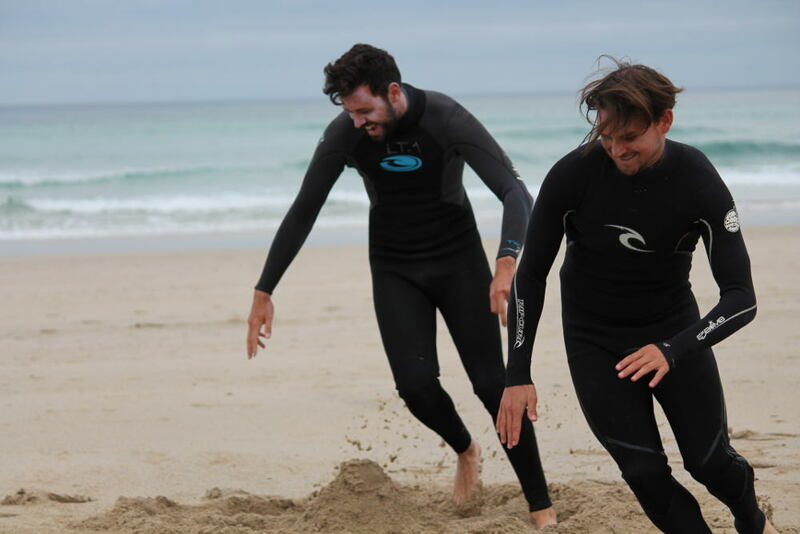 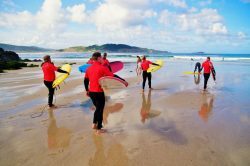 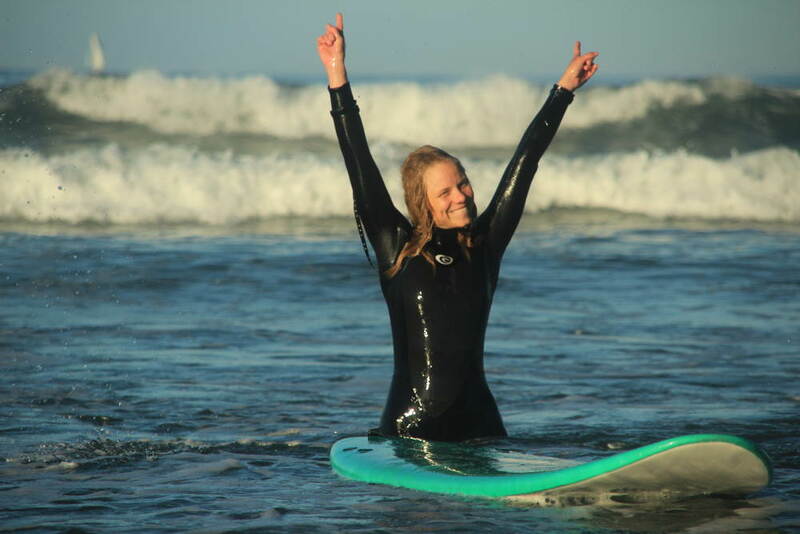 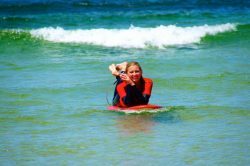 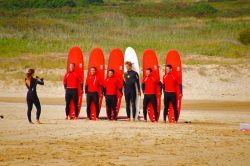 No matter if you are a complete novice or have already surfed a few waves – in our camp you will get the type of surfing lessons that suit you perfectly. 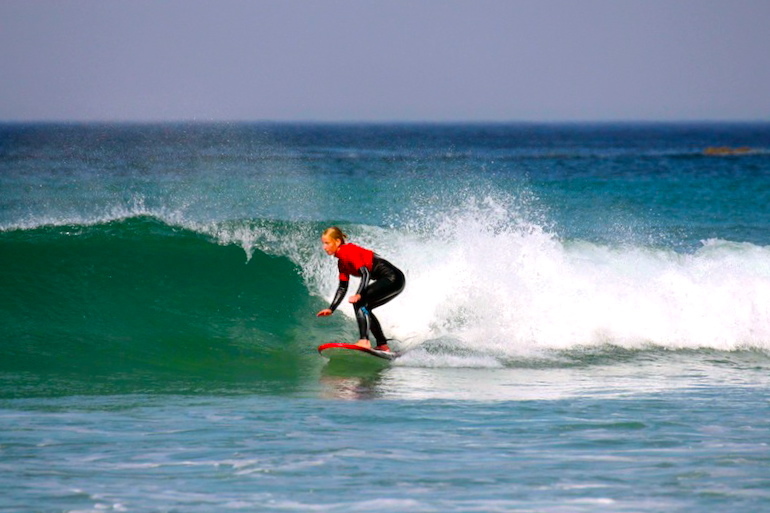 What makes it even better: With more than ten surf spots within a radius of 20 kilometers around our house we can guarantee that we always find the right wave for you. To make sure that your surfing skills improve as fast as possible you will have the best instructors at your side: Manu (ES, EN), Fabienne (DE, EN, ES) and Adri (EN, ES) have surfed and taught in different countries and at countless surf spots all around the world. Being local or having undertaken numerous trips along the Spanish coast they know the area like the back of their hand. They will make sure to select the perfect beach with the best waves for you every day. 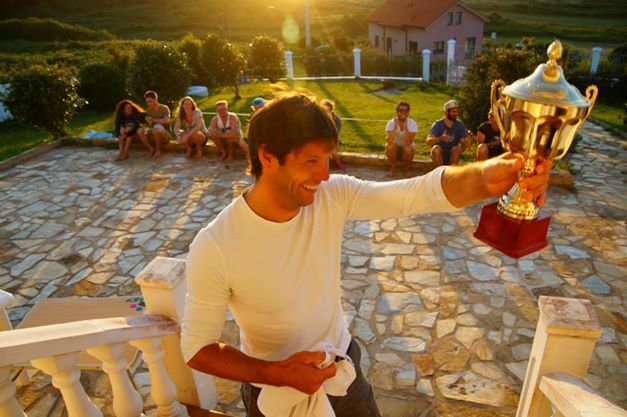 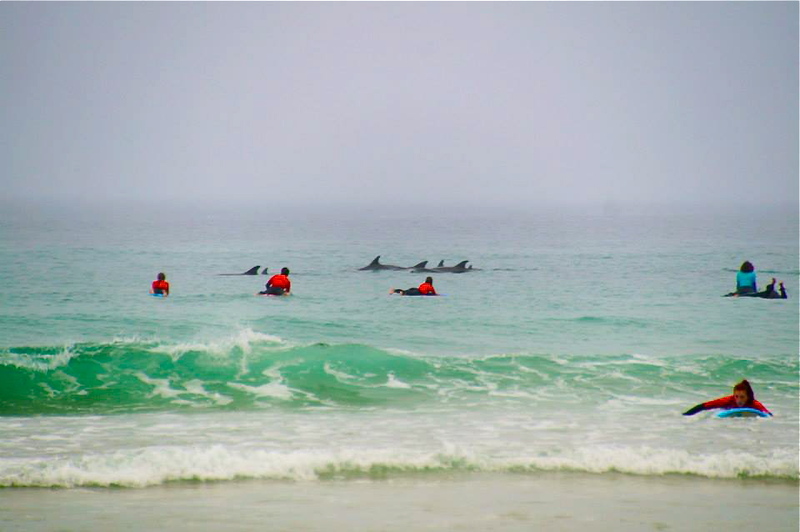 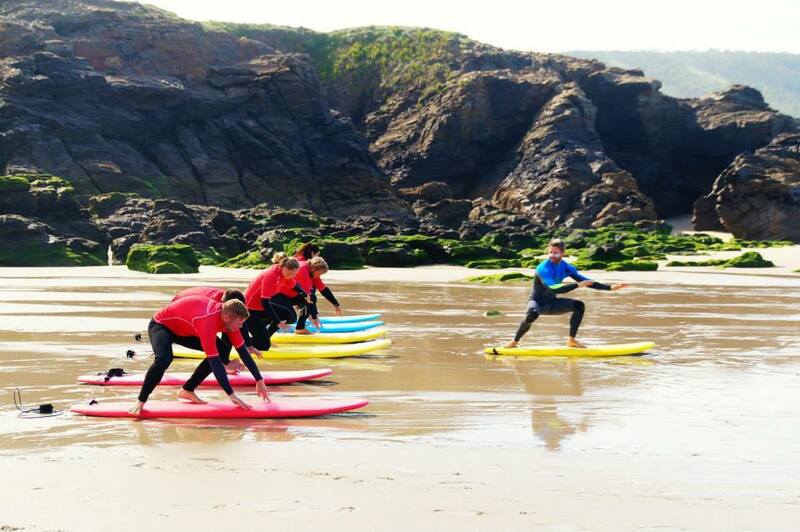 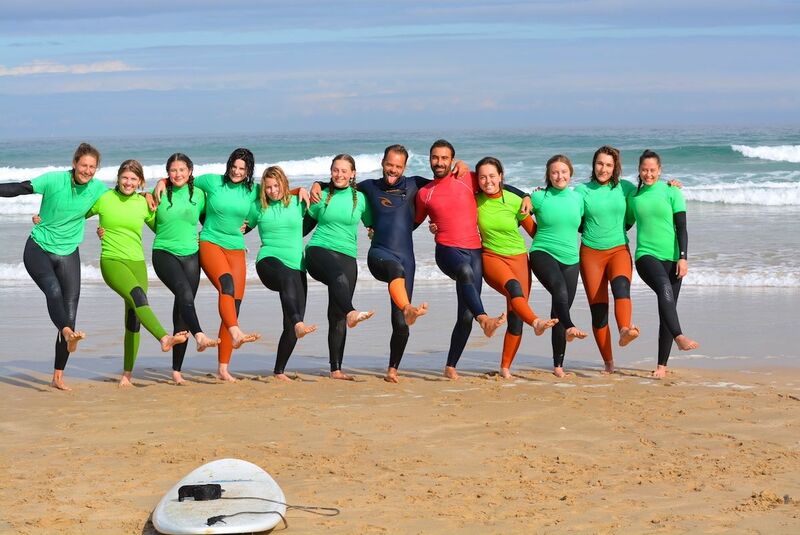 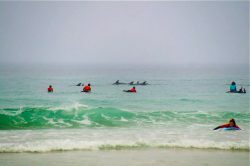 Five-day (20h), three-day (12h) and one-day (4h) surfing courses are available. Every course includes practical instruction, theory, transport, the material and video analysis (the 3- and 5-day courses). As we consider your progress our primary objective there is a maximum number of seven students per instructor. 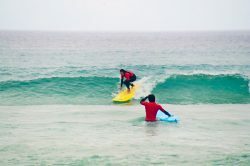 What are you waiting for: Let’s rock some waves! 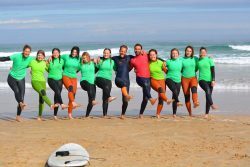 The two surf teachers Adri & Manu are working self employed this year, which is why the courses are not directly hold by WAVEROCKER. 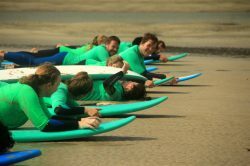 But as they’re using our surfing concept, the courses are going to be identical and sure to be as fun and learner friendly like the past years.